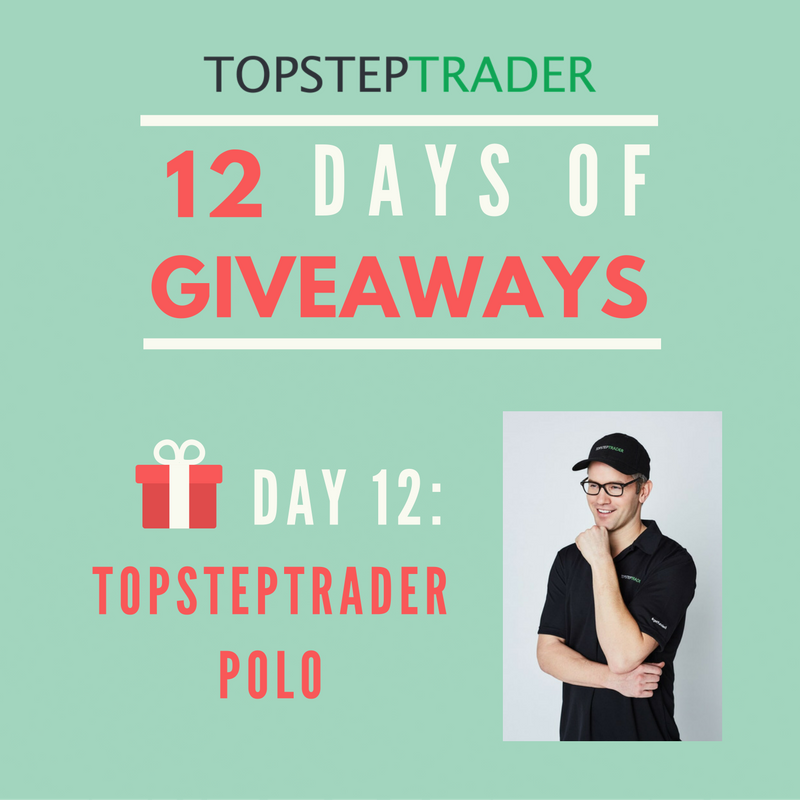 12 Days of Giveaways is here. 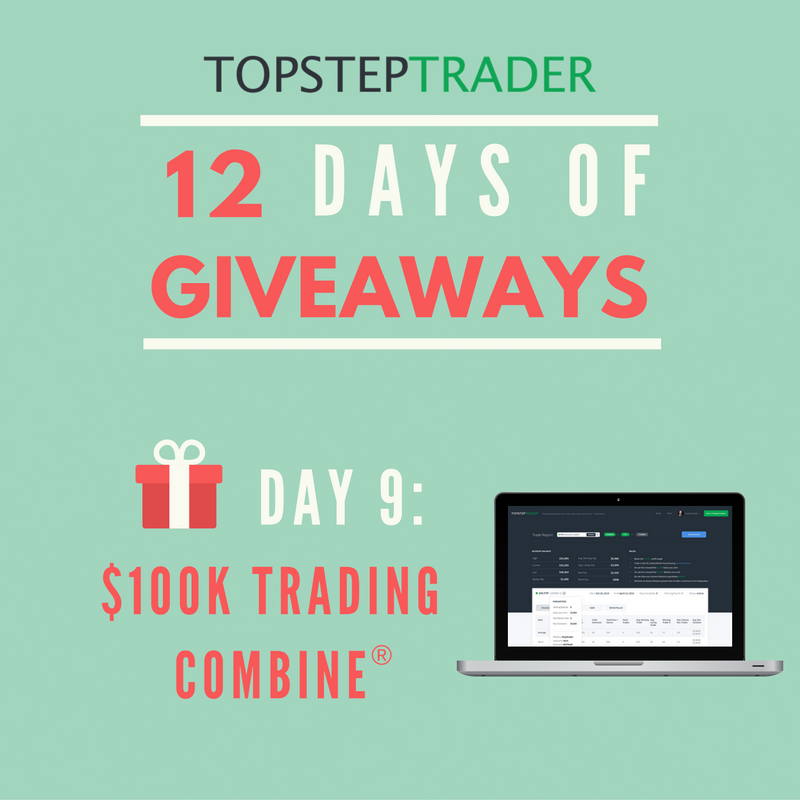 Win Trading Combines, Performance Coaching sessions or TopstepTrader swag. No purchase necessary. It's Our Birthday, Let's Celebrate! 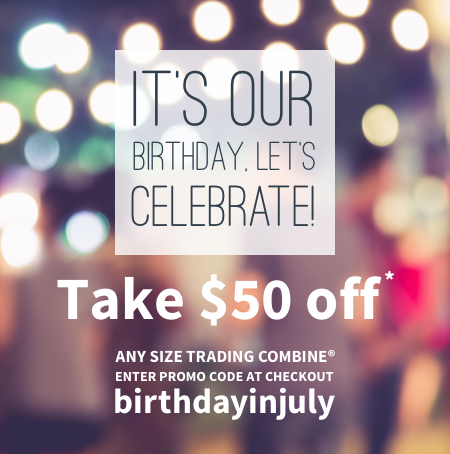 Join our party and take $50 off a new Trading Combine or account Reset. 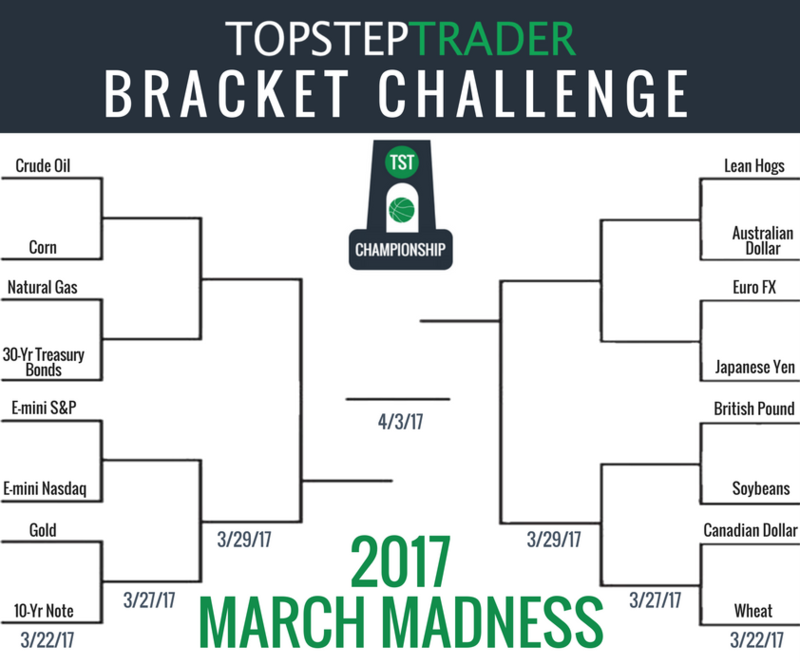 March Madness is back at TopstepTrader (futures products edition)! 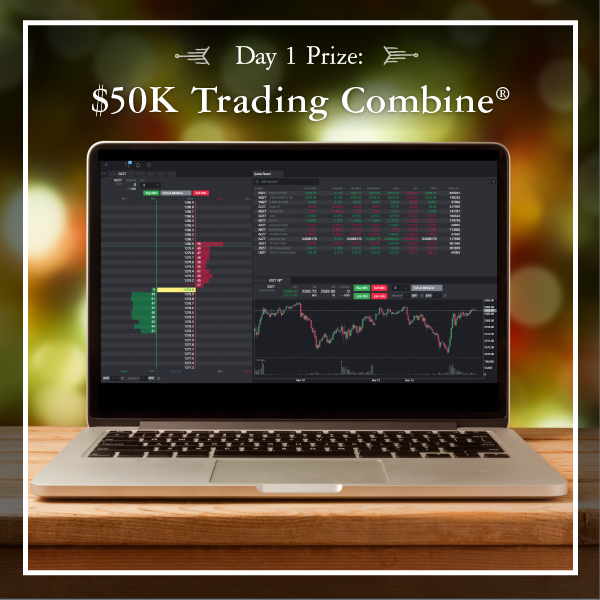 Fill out your predictions of winning futures products for your chance to win a free Trading Combine® and other exciting prizes in honor of the March Madness Tournament. 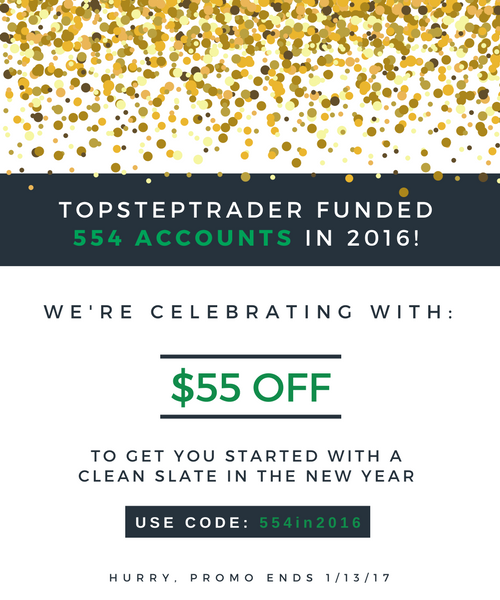 TopstepTrader Funded 554 Accounts in 2016! 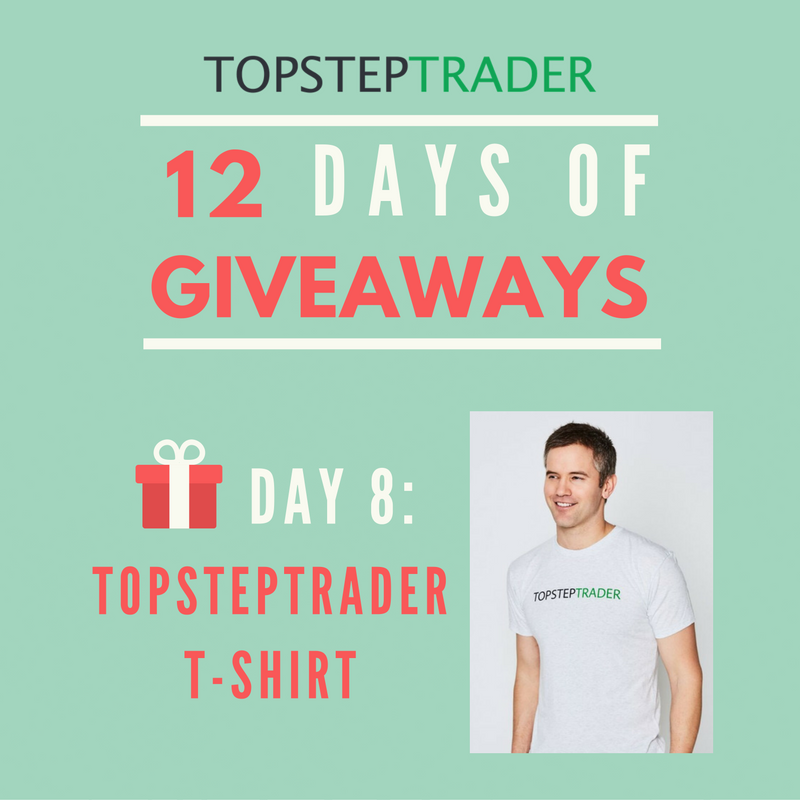 Welcome to TopstepTrader's 12 Days of Giveaways. Participate daily for your chance to win new and exciting prizes! Do not forget to check back tomorrow.